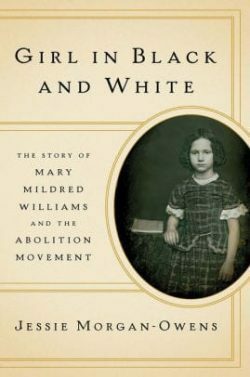 When a decades-long court battle resulted in her family’s freedom in 1855, seven-year-old Mary Mildred Williams unexpectedly became the face of American slavery. During a sold-out abolitionist lecture series, Massachusetts Senator Charles Sumner paraded Mary in front of rapt audiences as evidence that slavery knew no bounds. Jessie Morgan-Owens is the dean of studies at Bard Early College in New Orleans, Louisiana. A photographer with the team Morgan & Owens, she received her doctorate from New York University, writing a dissertation on nineteenth-century American anti-slavery literature and early photography. The culmination of Girl in Black and White came from years of archival research through grants from the National Endowment for the Humanities and the American Antiquarian Society, and from the Newhouse Center for the Humanities at Wellesley College. These explorations took her through archives, courthouses, interviews, and the Concord Museum collection uncovering all she could of Mary Mildred Williams’ untold story.